NPEA members can enjoy a free 5 month membership and NPEA Teachers can sign-up for a free lifetime membership to Thrive Market. 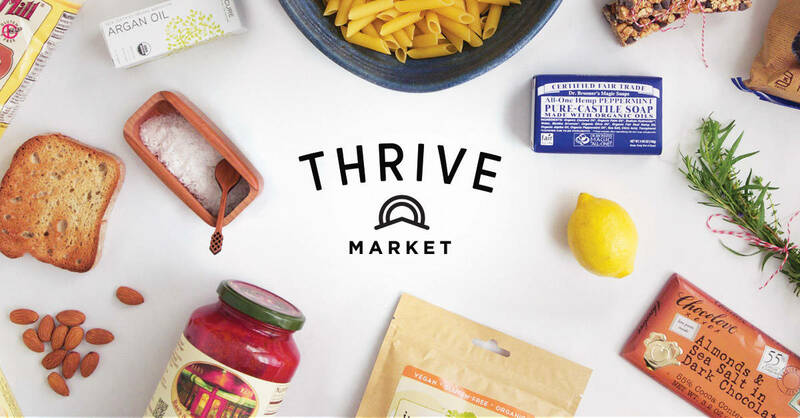 Thrive Market is an online shopping club offering thousands of premium, organic foods and natural, non-toxic household products at up to 50% off retail prices! For $59.95 per month, members can shop 4,000 of the highest quality food, supplements, home, personal care and beauty products from the best brands on the market. However, NPEA members who are teachers and professors will receive a free membership to Thrive Market and all other NPEA members can enjoy a free 5 month free membership! Order online, save a bundle of money, and get everything shipped directly to your door—it’s that easy. Plus, shipping is free on orders $49+. Finally, all your favorite wholesome products are easily accessible and affordable! Expanding access to healthy living isn’t just a business model, it’s Thrive Market’s mission. Through the company’s unique take on one-for-one giving, every paid membership is matched with a free membership for a low-income family, student, teacher or veteran. They’re even providing $100 in purchase credit for purchases to those who need it most.